Srinagar, Jan 16 (KNS): Leaders and activists affiliated to Joint Resistance Leadership today staged a peaceful rally at historic Jamia Masjid Srinagar, against state terrorism, unabated human rights violations, arbitrary arrests of civilians and resistance leaders and activists by NIA and ED, frequent restrictions in downtown Srinagar turning it into a military garrison, illegal caging of resistance leaders in their homes and unleashing terror and intimidation everywhere in Kashmir in the name of CASOs. The protesting resistance leaders and activists took out a rally from historic Jamia Masjid Srinagar which included Ghulam Nabi Zaki, Muhammad Rafiq Owasi, Sheikh Abdur Rashid, Mushtaq Ahmed Sofi, Umar Adil, Zahoor Ahmed Bhat, Advocate Sheikh Yasir Rouf Dalal, Bashir Kashmiri, Ghulam Muhammad Dar and Muhammad Ashraf Bin Salaam. Meanwhile, JRL- Syed Ali Geelani, Mirwaiz Umar Farooq and Muhammad Yasin Malik in a joint statement said that the so called chief Minister Mehbooba Mufti’s statement made in the assembly that the pro-freedom leaders shy away from participating in the dialogue process is both mischievous and misleading . They said that no sane person would oppose a meaningful dialogue process as a means of conflict resolution, especially when the entire nation is reeling under such gruelling repression and paying so dearly But dialogue has to be aimed at that end . The offer becomes unrealistic and suspect when it is qualified with parameters and conditions like within the Indian constitution , accepting accession as final and so on. It then becomes a tool to tide over the current crisis, maintain the status quo , buy time weaken the movement and the leadership and linger on the issue, as is observed from past experience.JRL said that instead of creating an atmosphere conducive for engagement if that really was the intent, what Kashmiri people and the resistance leadership instead saw was further increase and aggressiveness in military operations like “operation all-out “which is not only aimed at killing militants but also anyone who protests to instil fear of the forces in people and harass them and dissuade them from their political struggle while simultaneously all space for resistance leadership is chocked and pressure put on us to stop representing the sentiments of Kashmiri people and yield . The leadership said that the situation in Kashmir is volatile and in terms of repression and human rights violations is at its all time low. All our institutions ,educational social and religious are under assault . Each day , under the well planned strategy of RSS , new threats emanate to these institutions from various power centres of New Delhi . 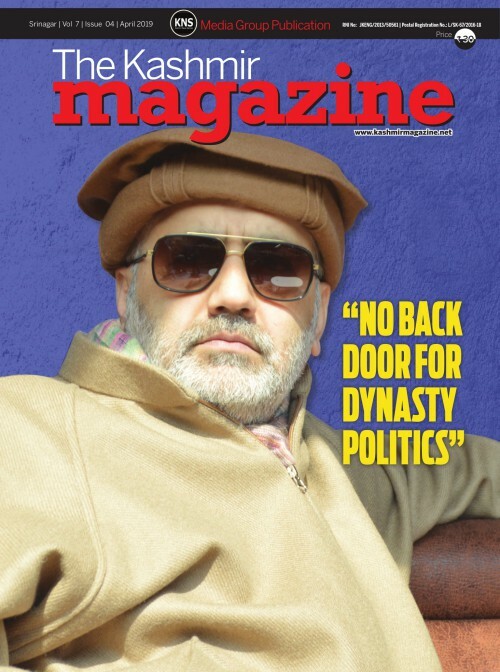 The aim is to undermine our identity and eventually change the demographic character of the state and the discourse on Kashmir .instead of resisting these moves the local collaborators are abetting them and then to divert people’s attention from them raising the bogey of dialogue , just to ensure their smooth stay in the chair of power.its just a gimmick . Leadership said that Mehbooba Mufti calls maharajah Hari Singh’s accession to India historic and in the same breath advocates dialogue for the resolution of the dispute. It shows their duplicity and Betrayal to the people. The leadership said that it is a fact that Kashmir dispute has now become 70-year old , whose resolution is best possible by giving to the people the basic right to self determination as was recently also suggested by an Indian intellectual giving the reference of Scotland and Ireland . An alternative way to resolution of the issue can also be a sustained transparent and meaningful dialogue process where all three parties—India, Pakistan and the representatives of Kashimiris come together to reach a a solution acceptable to all the stakeholders. The leadership said they have always welcomed sustained and meaningful dialogue for the resolution of Kashmir issue as per the wishes of its people, who are the mains stakeholders of the dispute. JRL said that Mufti instead of making meaningless statements on dialogue, the least she can do is put an end to repression by stopping operation all out which leaves behind a trail of killing blinding and maiming especially young boys and even women now and razing down of homes, forcing people of all ages out of their homes in biting cold and harassing them. An end should be put to arbitrary arrests of Kashmiri people like kawa at will, raiding and arresting resistance leaders by NIA and ED and then lodging them in notorious Tihar Jail in New Delhi and also the assault on the Kashmiri prisoners there. All political prisoners should be released. JRL said that they should be also be released and allowed to reach out to families of those whose loved ones are killed by forces. They said turning entire Srinagar into a military fortress, especially on every Friday should be stopped. An end shot be put to targeting Masjids, shrines and now also the educational institutions of Kashmir. JRL said if Mehbooba Mufti really means what she says and has a heart she should ensure these things are done away with and an atmosphere is created where one can see and feel that some semblance of humanity is restored and peoples and leaderships faith in dialogue in dialogue will also be restored and we can move forward towards peace .